Pruning trees is perhaps the best way to maintain your tree. Unlike trees in the forest which are adequately maintained by nature, trees in urban areas need to be maintained properly in order to preserve their structure and aesthetics. The best way to prune a tree is by understanding its biology. A wrong step at this stage can not only damage the tree but also cut short its life. There are several good reasons why trees need to be pruned. First, pruning trees help to keep your tree in good health. By removing dead or dying branches through tree pruning it is possible to reduce the risk of the tree decaying and even falling on the ground. Second, tree pruning helps to ensure your trees are properly exposed to the sun and in addition, it also improves air circulation throughout your tree. This will help to keep your tree in good health. Third, pruning a newly planted tree ensures the tree keeps it’s form at a young age allowing for a more aesthetically pleasing tree in its later life. Also reducing the size of the opening in the cambium layer if pruned at a later age. Last but not least, pruning trees also opens up your property and gives you a better view of the outside world. Tree pruning also ensures pedestrian safety. Dry twigs can easily catch fire. So, it makes sense to remove them by pruning your tree. Also, tree pruning helps to remove dead matter from your tree and in this way, ensures its health. Not pruning your tree can result in several problems. First, it can cause damage to the tree and second, it can shorten the tree’s life. Does your tree really require pruning? Your tree needs to be pruned if it appears to be a hazard. You can tell there is something wrong with your tree when its branches have become weak or because the tree has developed cracks. Second, by pruning your tree, you can ensure its health and of course, if its branches are blocking sunlight into your property, then it is time for you to prune your tree. When should you prune your tree? Routine tree pruning helps to remove limbs that have become weak or diseased. There is no set time of the year when you should prune your tree but a rule of thumb is to prune your tree before the tree starts to grow in the springtime. If you suspect your tree has developed a disease like oak wilt, then you need to make sure you do not prune your tree during active transmission times. Pruning your tree in the winter also makes sense as it permits fresh growth and pruning your tree in the winter also helps to make your tree look more mature and fuller. The best time to prune your tree is towards the end of January or beginning of February. In the summertime, you can prune your tree to retard the pace at which branches grow and to ensure your tree remains of a suitable size. Before pruning your tree, you need to understand the reasons for wanting to prune the tree. Second, you also need to be sure about what is to be pruned. It is a good idea to create a tree pruning plan before actually embarking on your tree pruning. In this plan, you also need to spell out the equipment required to prune the tree. Mostly, you can prune your tree with the help of a hand pruner or lopper and also with a pruning saw. When the time comes to prune your tree, the following steps need to be completed. The first thing you need to keep in mind when pruning your tree is when you cut the tree, you are creating a wound. Cutting the tree, the right way will ensure your tree remains in good health but if you make a wrong cut, then you can damage your tree. The wrong way to cut the tree is by creating flush cuts or by leaving stubs. Remember, your tree cannot heal itself. So, when you cut off a branch, it will be gone for good because no new branch is going to grow in its place. What trees do is they seal their wounds. If you want to prune a branch off the trunk of your tree, you need to first of all find and understand more about branch collars and branch bark ridges. The branch collar is a swelling that is found at the base of the branch. The branch ridge bark, on the other hand, is a bit elevated and is dark in colour as well as is a rough bark that you see at the point where the branch and trunk tissue come together. It is unwise to cut on these parts as it is bad for the tree’s health. If you do need to remove a large and heavy branch, then you will need to make three different cuts. This ensures you will preserve and not cut the branch collar. Once you have cut your tree, do not make the mistake of painting over the cut or dressing the wound. This will not prevent decay and will, in fact, have the opposite effect by promoting rotting. What needs to be pruned? Before pruning your tree, you need to decide exactly what needs to be pruned. it is also necessary to identify the reasons for pruning your tree. Second, you need to look at the size and shape of your tree before pruning it. Next, look at the most important branches of the tree and make sure you never try to cut or remove them. The best way to prune a tree is also by removing branches that look damaged. They could have been damaged by storms or they may have broken. Pruning these branches is a good idea as it promotes better distribution of water and nutrients throughout the tree. 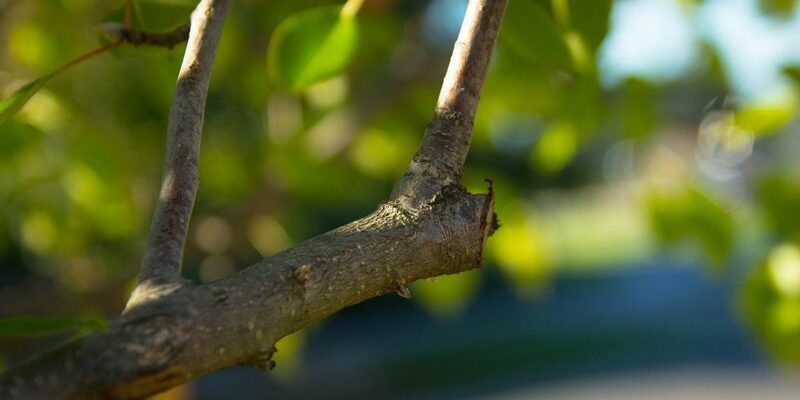 If you find areas on the tree that have too many branches, then the best way to prune a tree is by thinning out these areas as that will improve air circulation in the tree and ensure light reaches all parts of the tree. Finally, try to prune branches that are obstructing your walkway. Pruning branches to give your tree a better shape is also a good idea. Last but not least, do try to prune your tree as little as is possible. 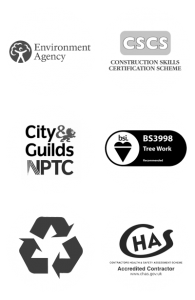 Need A Free Tree Services Quote? If you would like a FREE quotation/estimate please leave your information below and we will send a surveyor to your location to assess your requirements. If you have any questions during the estimate our specialised surveyor will do their very best to answer all your questions.